This is Danny Pettry. I’m a lifetime member of ATRA. (I’m not an elected member or a paid spokesperson for ATRA). 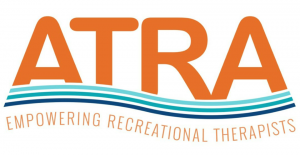 ATRA is working to help get the ABLE AGE ADJUSTMENT ACT passed! ATRA had a national call-in day on Thursday July 26th. It isn’t too late to call or email your elected representative. You can still contact your elected representatives. You can help. It is really simple to do. it will only take a few minutes. I’ve already contacted the two state Senators from West Virginia and my elected Congressman. I’m leading the team in West Virginia to encourage our state representatives to support the ABLE Age Adjustment Act. Basically – use the script at the bottom. Be sure to send snail mail and email too. ). This bill would amend Section 529A(e) of the Internal Revenue Code to increase the eligibility for Achieving a Better Life Experience (ABLE) accounts for onset of disability from prior to age 26 to prior to age 46 so that millions more people with disabilities can take advantage of this important savings tool. Despite nearly three decades under ADA law, people with disabilities still regularly encounter discrimination in many aspects of life, including lacking financial opportunities to save for their future and enhance their quality of life. Together we can advocate to #ExpandABLE and pass the #ABLEAgeAdjustment Act. urging Congress to pass this bill this session. for the NAST Sustainability Report). Ask your Senators and Representatives to support people with disabilities and their families by cosponsoring the bipartisan ABLE Age Adjustment Act (S. 817/ HR 1874). Expanding the age of onset is the right thing to do and will give more than 6 million additional people with disabilities access to this important savings tool that enables them to accumulate more than $2000 in assets without jeopardizing their benefits. Whether or not you are currently eligible for an ABLE account, we all have a stake in ensuring the success of ABLE programs so that they are sustainable and so that costs for all ABLE account owners are kept low. Please contact your congressional members and ask them to cosponsor the ABLE Age Adjustment Act today! · I am your constituent from [name of city and state]. · I am calling to ask Senator/Representative [NAME] to cosponsor the ABLE Age Adjustment Act (S. 817/ HR 1874). · ABLE accounts are important to people with disabilities because they allow them the opportunity to save more than $2000 in assets -to be spent on disability related expenses – without jeopardizing their much-needed public benefits like Supplemental Security Income (SSI) and Medicaid. · Unfortunately, only people whose disabilities occurred prior to age 26 are currently eligible for ABLE accounts. · By increasing age of onset from before age 26 to before age 46, this bill will enable at least 6 million more people with disabilities to open an ABLE account and enhance their financial independence and quality of life. · It will also increase the likelihood that ABLE programs across the country will be sustainable and costs will be kept low. · I hope we can count on Senator/Representative [NAME] to support the disability community and cosponsor the ABLE Age Adjustment Act!